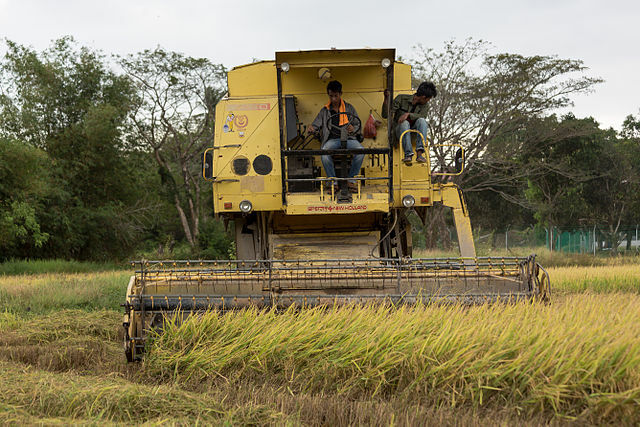 A recent analysis of dry El Nino weather patterns suggests that they could persist even longer than usual this year – into rice planting seasons for Malaysia. The threat of El Nino on rice farming still looms in Malaysia’s future, but its effects are being felt now in the US. Earlier this year, dry weather forced American rice farms to delay planting. Yields are expected to be 15 to 20 percent below average and as a result, US rice prices could rise by nearly 40 percent. El Nino is predicted to peak late this year and its effects could linger into February when Malaysian rice farms usually plant. If later planting and dryer weather have the same effect on Malaysia as they did on the US, a rice shortage could be on its way. Considering that rice is the most common grain for both production and consumption in Malaysia, this is cause for concern. Malaysia’s economy depends on rice exports for income and local harvests for food security. Even a moderate hike in prices could create big trouble for a country so dependent on this crop. Malaysia’s struggling economy needs more money, if anything, to spend on sorely lacking sustainable development. And low-income families that depend on rice would be hit hard, resulting in a potential food emergency and eroding the country’s labor base. Furthering concern is the fact that reservoir levels are down. These already low supplies will be vital for irrigation should El Nino proceed as forecasted. Malaysia has been trying to encourage water conservation for years, but programs have fallen flat and reservoirs continue to drop. The outlook suggests that Malaysia should buckle down and do everything it can to mitigate the coming challenge.